Universities should play to their local strengths, says vice-chancellor. 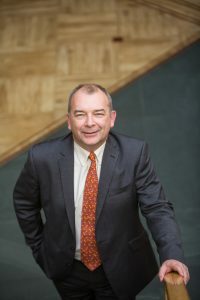 Universities should have a greater say in formulating an industrial strategy that is underpinned by a local place agenda, according to John Latham, who is the vice-chancellor of Coventry University and who also chairs the University Alliance group. Latham predicts there will be “a lot of announcements” in the autumn statement on 23 November, following an initial pledge of £2 billion towards research and development and a new research commercialisation fund made by Theresa May on 21 November. The prime minister also pledged that the new industrial strategy would underpin the UK’s strengths in areas such as the life sciences, quantum technology, aerospace, the automotive industry, the creative industries and financial technologies, while fighting weaknesses such as the lack of commercialisation of results, a regional imbalance between London and the south-east and the rest of the UK, low productivity and Britain’s shortage of technical skills and knowledge in science, technology, engineering and mathematics. Latham thinks that “people are starting to require clarity, and government is now working out what these things mean”, especially in the context of Brexit. “There are so many balls in the air, the autumn statement is the opportunity to settle some of those down,” he said. On Brexit, Latham said that University Alliance is looking ahead beyond the two or three-year withdrawal period. “What’s happening beyond then? Everybody’s worried about how we’re going to access Horizon 2020 funding and EU structural funds, but it’s not about now, it’s about what happens after now?” he said. 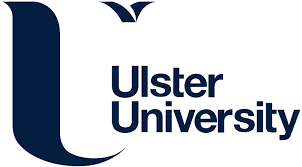 Part of this will be around supporting government policy development to ensure that some of those funds are ring-fenced for economic development initiatives which benefit universities, such as the regionalisation agenda. Latham, who is a member of the Innovate UK board, added that he sees benefits in its being “part of an organisation of scale” within UK Research and Innovation when the government’s higher education reforms are introduced, so long as budgets are properly ring-fenced. He added that this will help the research councils and Innovate UK play a greater role in supporting industrial strategy through their closer alignment. “I think government is working hard to ensure its mission is not diluted,” he said.